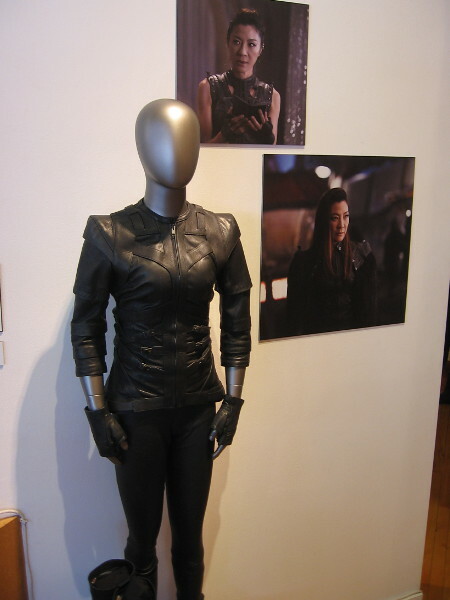 Star Trek: Discovery Mirror Universe exhibit at Comic-Con! – Cool San Diego Sights! 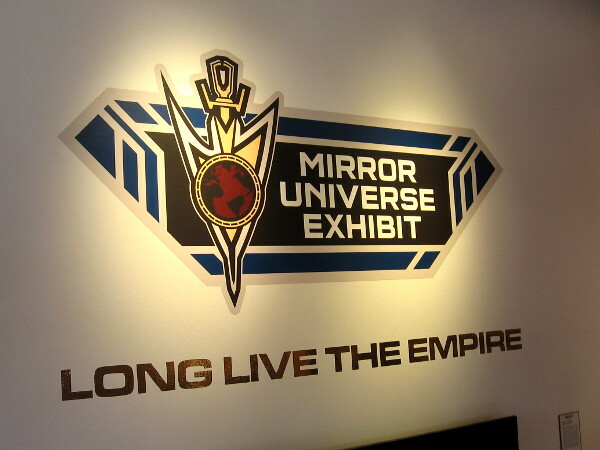 Star Trek: Discovery Mirror Universe exhibit at Comic-Con! The golden garb of Terran Empire royalty. All hail the Emperor, Philippa Georgiou Augustus Iaponius Centarius. 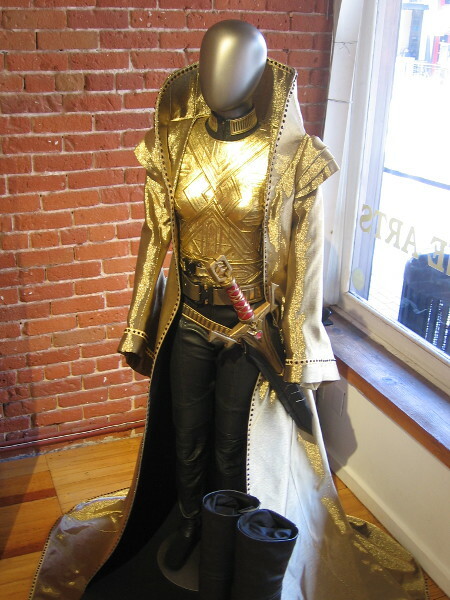 Uniforms, props and weapons that appear in the Mirror Universe episodes of Star Trek: Discovery are being exhibited in the Gaslamp Quarter during 2018 San Diego Comic-Con! It’s free and the general public is welcome. Last year’s Star Trek: Discovery exhibit was amazing, and this year there’s a cool new twist. 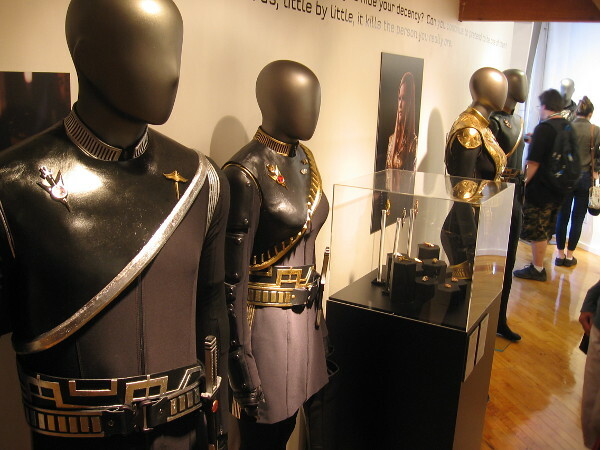 The various uniforms and weapons that are on display are all from Star Trek’s dark Mirror Universe. If you enjoy Star Trek or simply want to see some really fantastic, detailed props, check it out! You can also pose for a photo on Emperor Georgiou’s throne or visit an official Star Trek shop with collectible Comic-Con exclusives! 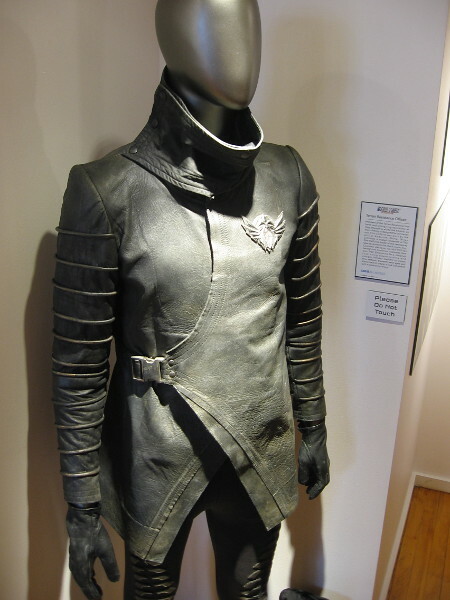 The Star Trek: Discovery Mirror Universe Exhibit at 2018 San Diego Comic-Con. Long Live the Empire. 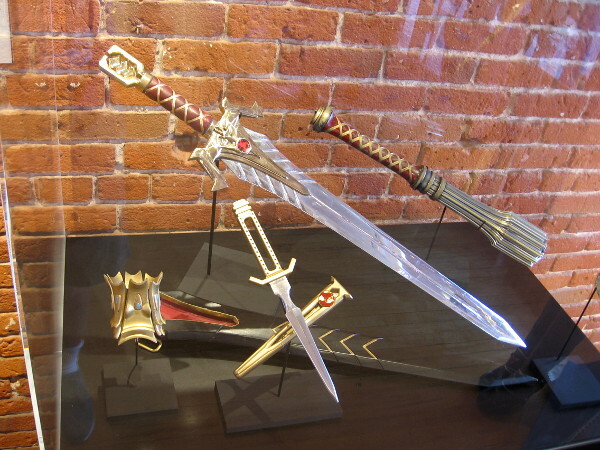 Emperor Georgiou’s Imperial Sword and Scabbard, Terran Empire Throwing Disc, Imperial Guard Truncheon. 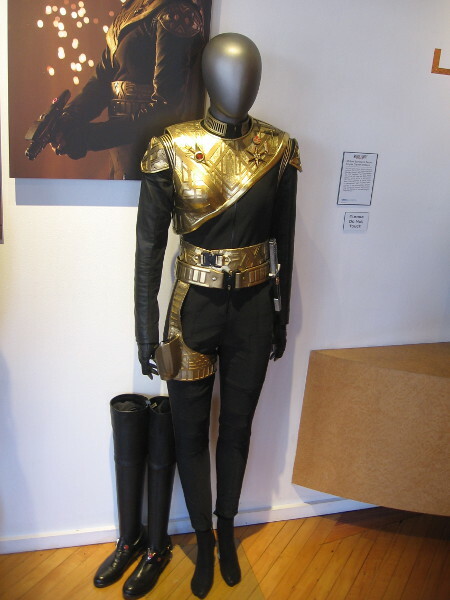 Michael Burnham’s Terran Empire Captain Uniform. 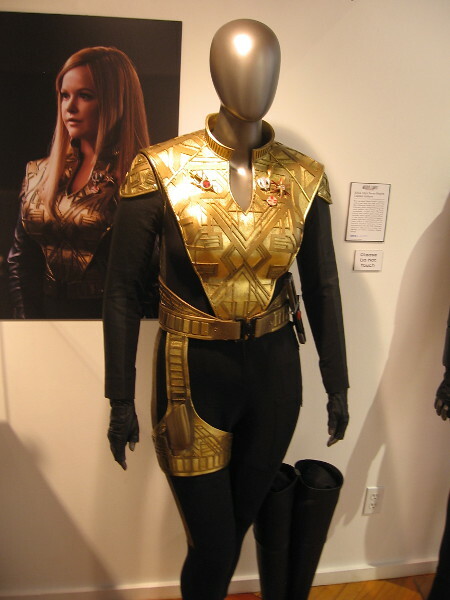 Paul Stamet’s Terran Empire Science Uniform and Keyla Detmer’s Terran Empire First Officer Uniform. Sylvia Tilly’s Terran Empire Captain Uniform. Ash Tyler’s Terran Empire Security Uniform. 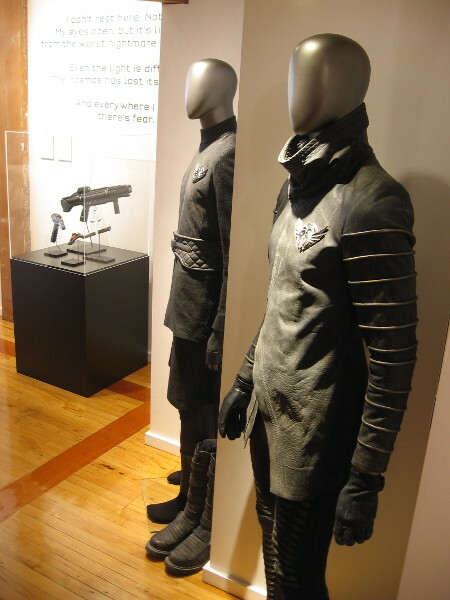 Uniforms of the Resistance are also on display. 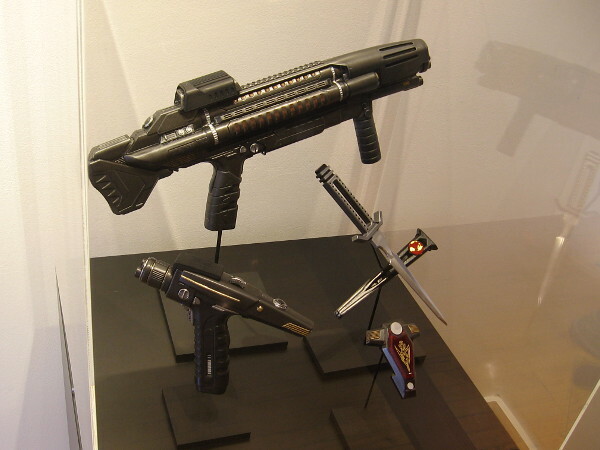 Terran Empire Phaser Rifle, Terran Empire Hand Phaser, Terran Empire Daggers, Terran Empire Hand Agonizer. 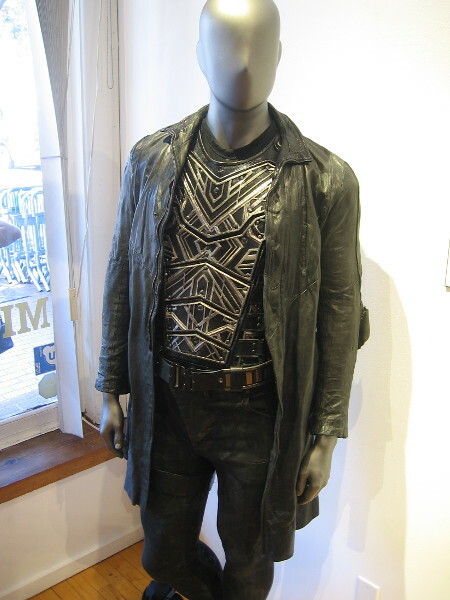 Captain Lorca Terran Armor and Jacket. 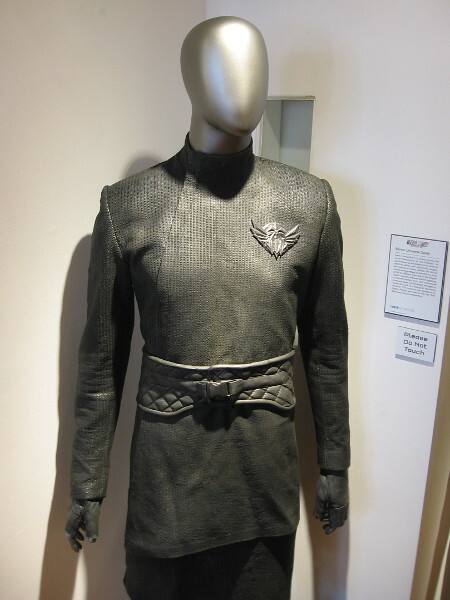 Many fantastic uniforms, props and weapons are on display at the Star Trek: Discovery Mirror Universe Exhibit at 2018 San Diego Comic-Con. Have you been watching Star Trek: Discovery? I haven’t, but perhaps I should! I did watch Star Trek Discovery and really enjoyed it. It is a bit darker, in tone, and the language is a bit… colourful at times – which I don’t think really suits Star Trek at all. Other than that, it had a very exciting season story-arc, and the SFX were stunning. Reblogged this on Situation Nominal. Previous Previous post: Cosplay and fun Thursday morning at Comic-Con! Next Next post: More cosplay and fun stuff in the Gaslamp!